The blooming season is here, so what better way to celebrate it than talk about products that actually use flowers to their advantage? Natural Pacific has some of the prettiest toners we've ever seen, and being the beauty junkies that we are, we knew we had to see what these lovely bottles packed. Here's the breakdown on the Real Rose and Calendula Energy Floral Toners! Grounding the goodness of their products in natural, pure ingredients, Natural Pacific creates brilliant products that harness the energy nature has to offer. Rather than choosing to splurge on packaging, they spend more on the ingredients themselves to ensure great quaility. The result is stunning products that are effective on the skin without the extra unneeded fillers and gimicks. The Floral Toners from Natural Pacific are definitely proof of that: they feature real ingredients including actual fresh petals within the solution to allow the toner to get as many benefits as it can before translating that onto the skin. Before you get your hands on these, here's what you need to know. There are two types that target different skin types and they are the Real Calendula Energy Toner and Real Rose Floral Toner. 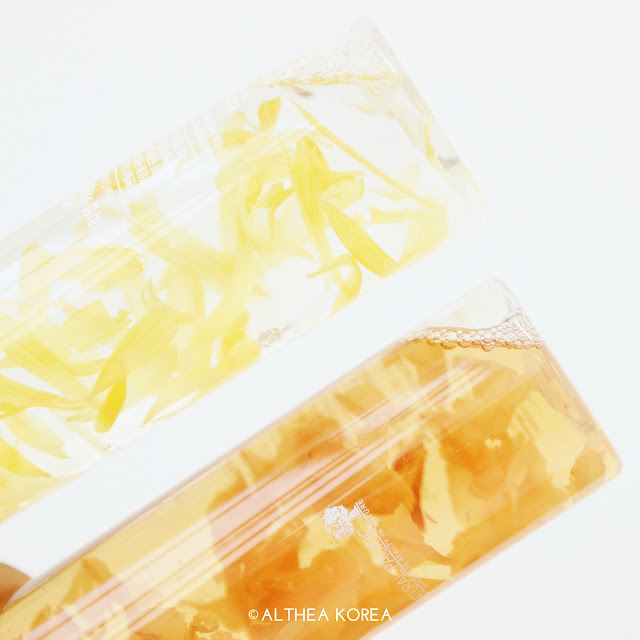 The calendula version is more suited for those of us with oily skins as it helps to control sebum production, while the rose one is made for drier complexions to give it a radiant glow. Both of them contain centella extracts that help soothe irritations and calm the skin, prepping it for the next step of your skincare routine. Using one of these toners is fairly simple: after cleansing, saturate a cotton pad with the product then wipe onto the skin, starting from the center of the face and working your way out before patting any leftover product in. This not only helps to soothe the skin but also to remove any leftover impurities. The toners themselves are a watery texture and immediate cool down the skin, making this fantastic after a long day. They also have a natural, slightly herbal floral scent to them, making them very calming for the senses too. Here's an extra beauty tip: if your skin is feeling extra irritated that day, use this product as a mask to really treat and pamper your skin. Just saturate a couple of cotton pads and apply them all over the face, allowing it to sit for 5-10 minutes. Remove them after, and pat the remaining essence in for an extra dose of flower power. You'll be left with skin that's calm, healthy and happy! Doesn't our little Pixie look absolutely radiant? 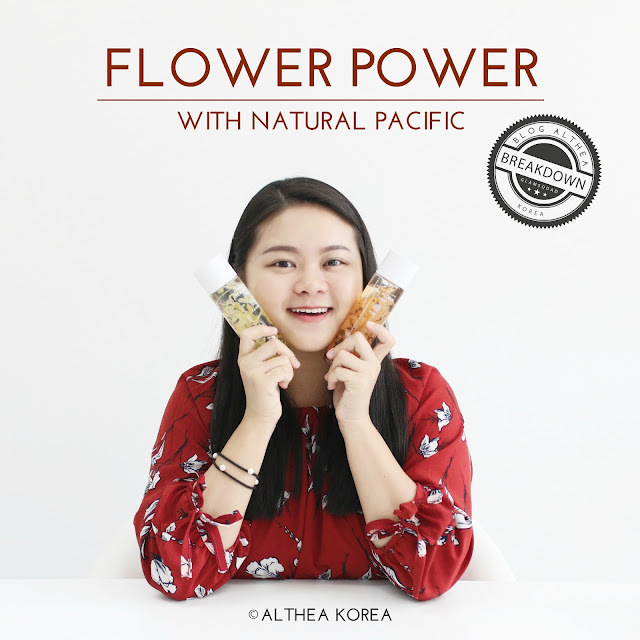 We love how these floral toners from Natural Pacific faired, and it's no wonder that these have made a mark on K-beauty lovers hearts across the globe! 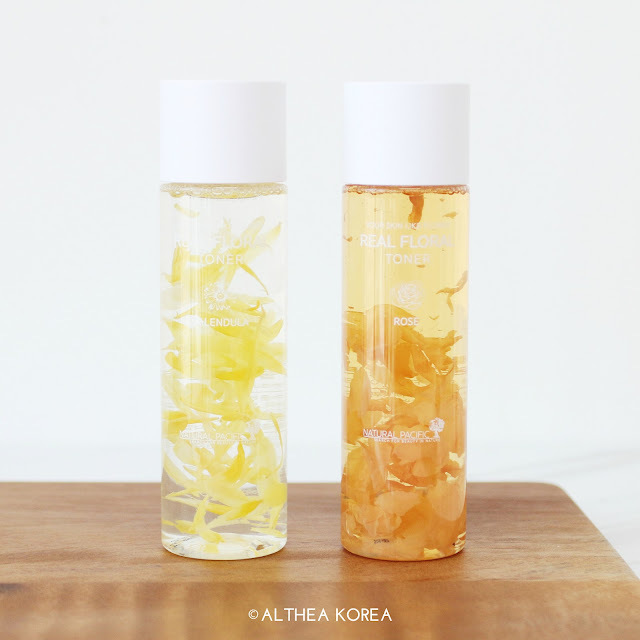 You can find these and other cool K-beauty stuff at Althea's site. What do you guys think of these toners? Which would you like to try? Let us know in the comments down below!